I am having lots of fun with today’s casual look which is perfect for a relaxing weekend. In high school, I was a big fan of sneakers as much as I like wearing dresses today; for this post, I incorporated a feminine look with sport vibes by pairing a shirtdress with my Adidas. Achieving this laid-back, sporty chic look is very easy and so much fun. 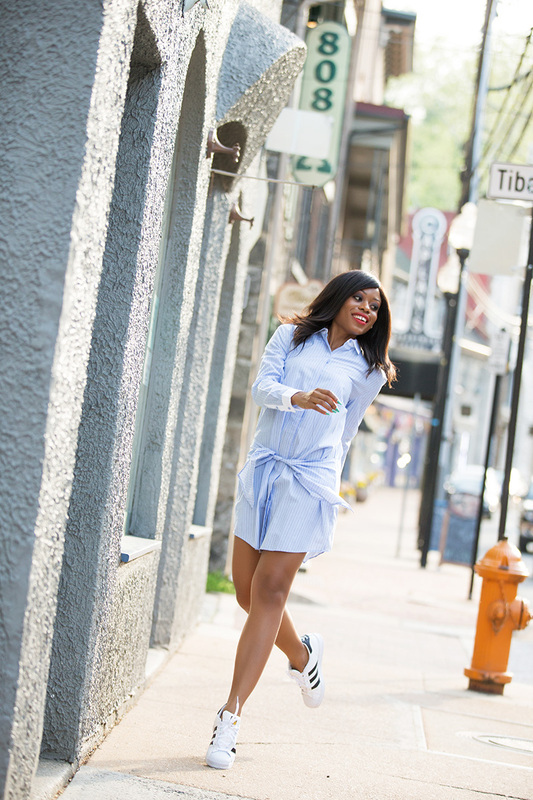 All you have to do is throw on a shirt dress/ fun dress that says casual and pair with your favorite sneakers or Keds. You can also rock a sweatshirt over a skirt and complete with sneakers or heels .